La La Creative is a freelance Graphic Design and Photography business run by Laura Field. Offering professional design and photography services for corporate and personal clients. 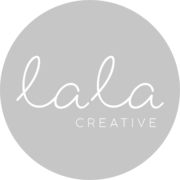 Rate and review La La Creative in Holland Park West, Queensland, Australia! Share your experiences at La La Creative with your friends or discover more Graphic Design in Holland Park West, Queensland, Australia.